A private developer has purchased an inner-city development site in Melbourne's Ascot Vale for $1.72 million under the hammer. The property at 193-195 Maribyrnong Road, Ascot Vale was sold at an onsite auction which attracted approximately 50 people. The 716 sqm site offers general residential zoning, providing the opportunity for multi-level development, and is just 420 metre from the Union Road shopping strip. 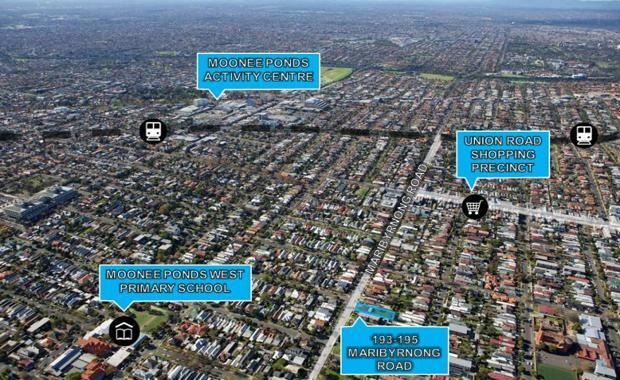 The property is also close to schools and public transport, with Ascot Vale train station nearby and a tram line out the front of the property. It has approval for a residential development. The deal was negotiated by Ted Dwyer and Hamish Burgess of Colliers International.